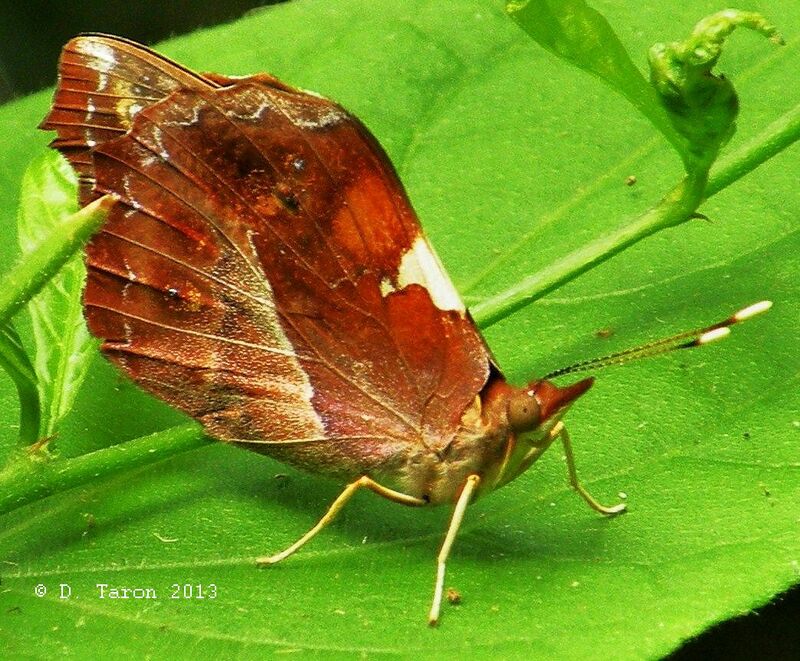 Identification: Both sexes with squared-off forewing tip. 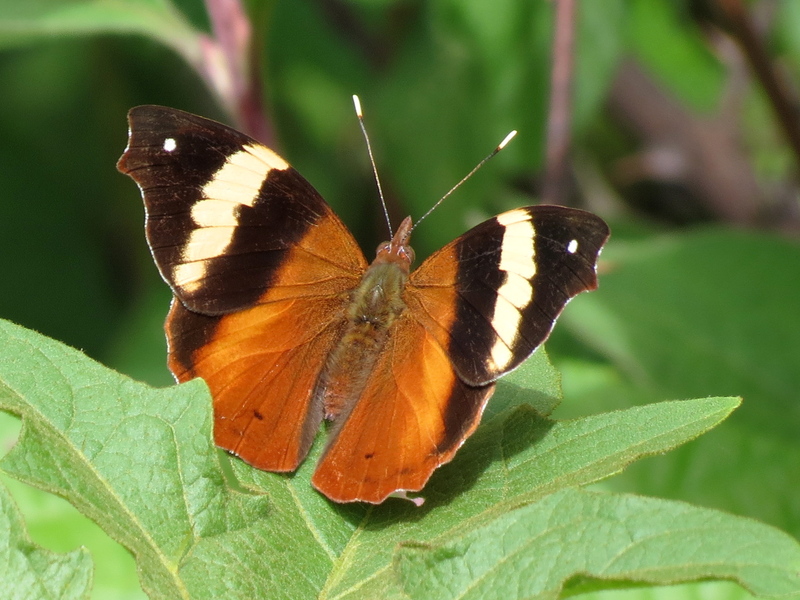 Female upperside: forewing is brown with a cream median band and a cream spot at apex, orange wing base and tip; hindwing is orange with brown on upper part of the outer margin. 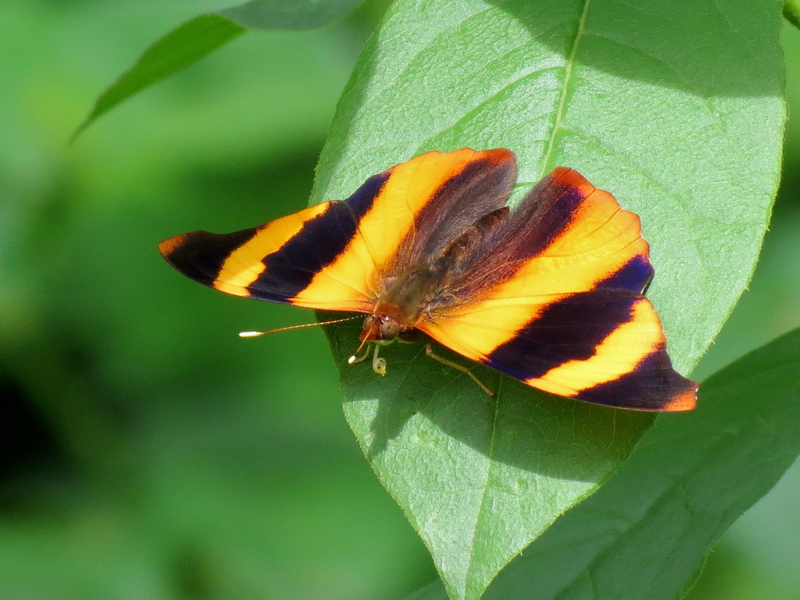 Male upperside has alternating orange and black bands. 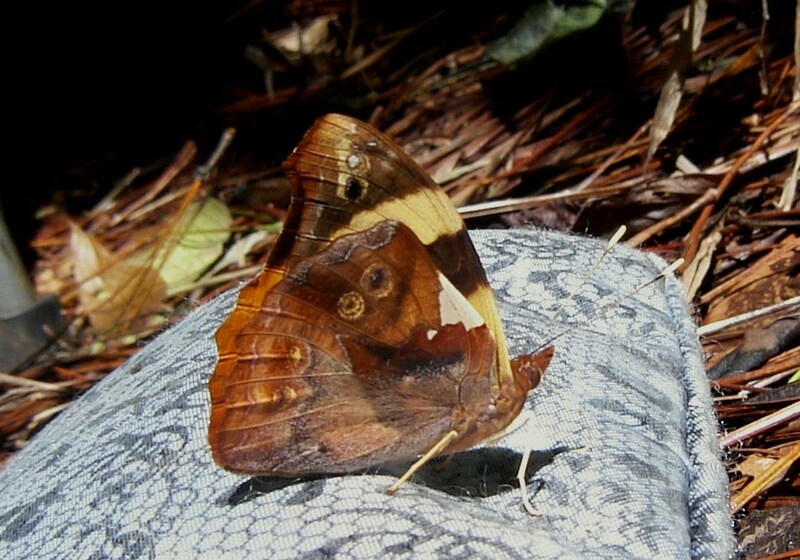 Undersides of both sexes are mottled brown, resembling bark. Wing Span: 2 1/4 - 2 5/8 inches (5.7 - 6.7 cm). Life History: Eggs are laid singly under mature host plant leaves. Caterpillars rest on a platform made of a leaf vein with dung and silk attached to it. Caterpillars strike with their horns when disturbed, and can puncture another caterpillar. Chrysalids when disturbed can move the abdomen to make creaking sounds. Flight: All year in Mexico, October in South Texas. Caterpillar Hosts: Vines in the soapberry family (Sapindaceae). Adult Food: Sap, rotting fruit, and dung. Habitat: Tropical rain and cloud forests. Range: Panama north through Central America to Mexico. A rare stray to South Texas.